The Drive platform gives you a group of APIs along with client libraries, language-specific examples, and documentation to help you develop apps that integrate with Drive. 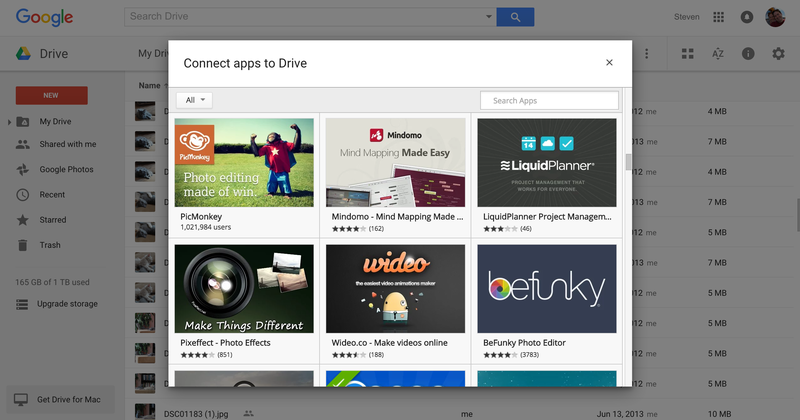 The core functionality of Drive apps is to download and upload files in Google Drive. However, the Drive platform provides a lot more than just storage. This page describes some of that functionality and points you to resources for building it into your app. Note: With the Drive platform, you'll use a model based on file IDs — rather than a traditional folder hierarchy — when working with Google Drive files and folders. For more information, see Work with Folders and Manage File Metadata. You can search for files using the files.list method of the Drive API. Drive automatically indexes the content of most common file types (e.g. .html, .xml, .txt, ...) for search as soon as they are uploaded. Also, Drive uses OCR to find text in images or PDF files and automated object recognition technology to examine and index identifiable objects, people and places. For other resources such as drawings or other unique file types that are not automatically indexed by Google, apps can provide their own indexable text when they save files to Drive. Once your app is ready to distribute to the world, a listing in the Chrome Web Store will help it find the users that need and want it. See Create a listing for more information. Google Drive apps can manage permissions and sharing settings of files. Also, apps can provide commenting and discussions on files, allowing users to work collaboratively on the documents they share in Drive. For more details on these features, see Share files and Manage Comments and Discussions. Drive files can be opened from an application independently of the Drive UI. An application can easily fetch and display a list of files with the Google Picker as described in Open files using the Google Picker. Applications can create shortcuts to data stored outside of Drive, in a different data store or cloud storage system. If you need to store files or file-like resources outside of Drive for any reason, shortcuts allow you to still list them in Google Drive. Shortcuts behave a lot like files. They can be opened and created, indexed in search, and shared with other users. Unlike regular files, shortcuts do not contain any content. For information and code samples for shortcuts, see Create a shortcut to a file. 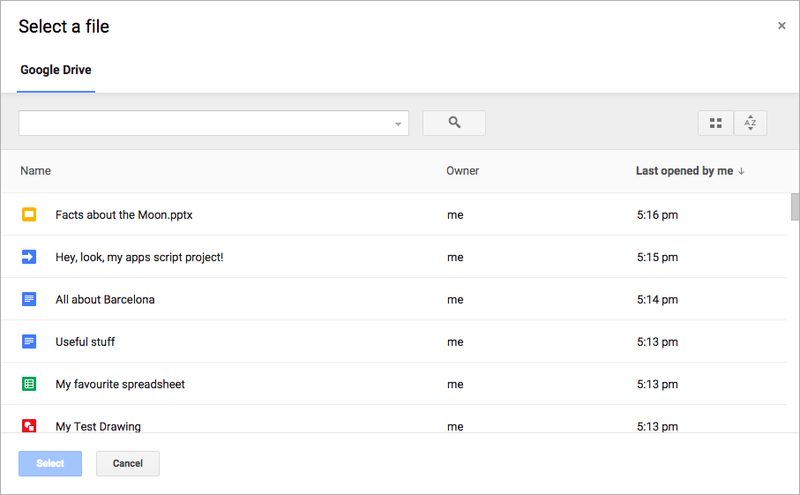 The Drive platform allows developers to open, import, and export native Google Docs types such as Google Spreadsheets, Presentations, Documents, and Drawings. For instance, if your application is configured to open PDF files, then because Google Documents are exportable to PDF, users will be able to use your application to open those documents. For a map of the supported formats and more detail about exporting and converting Google docs, see Open and convert Google Docs in your app.